Crown Performance are specialists in the performance tuning of engine management systems improving the efficiency of the engine and giving your vehicle increased power output, torque and fuel economy. From cars tuned for road or track applications to light commercials, trucks, agricultural & even marine engines we can provide a solution to meet your needs. By careful recalibration of the engine management system we can increase drivability with no detriment to reliability. ECU remapping improves your cars performance. On modern cars there is a computer chip that controls the way the engine works. It controls the injector opening times and the rate fuel is injected and ignited. This is called engine mapping. We can analyse the way your engine is mapped and then optimise it to get more efficient combustion and more power. With ECU remapping we can tune your car for fuel efficiency or performance. Most new cars have their engines mapped in a very neutral manner. Manufacturers ship cars all over the world and every new car has to be able to cope in every environment and condition. They have to be able to deal with poor fuel quality, dusty desert environments, extreme cold and poor servicing. So the manufactures make a trade off and map the car’s engine so it’s mediocre in all environments but excellent in none. We don’t have these issues in the UK so we are able to tune a car for superior performance. 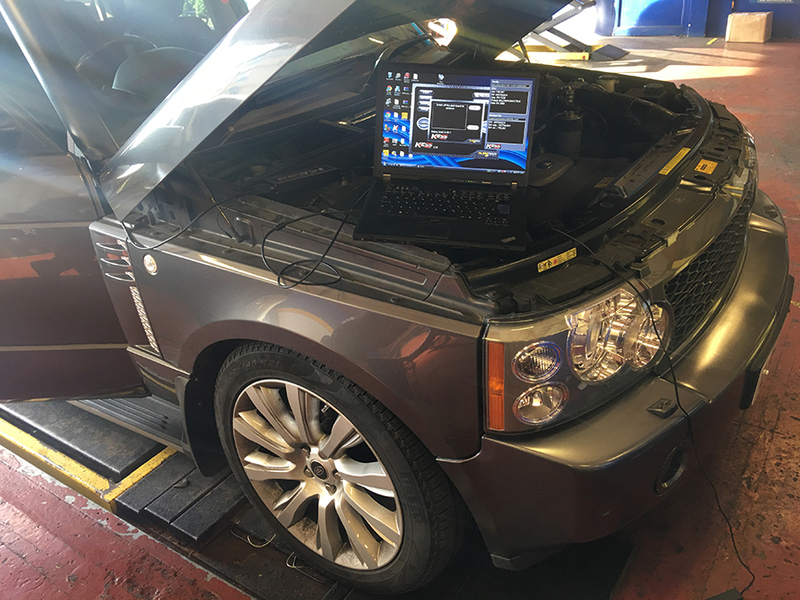 When we remap a vehicle, especially when fuel saving is the priority, we focus on improving the low end torque and widening the power-band as far as we can. This increase in low end torque will mean less throttle pedal input is required to maintain cruising speeds, when fully laden or when on a gradient. It will also mean that the vehicle will be more comfortable in higher gears at slower speeds as well requiring fewer gear changes overall. If you combine these factors with adjusting your driving style to make the most of the extra low-end torque you will see an improvement in fuel consumption. This is most effective on turbo-diesel engines, where the savings could be as much as 20%. Unleash the beast in your BMW and go from stock to full race calibration with a simple 30 second map switch in the provided mobile app. 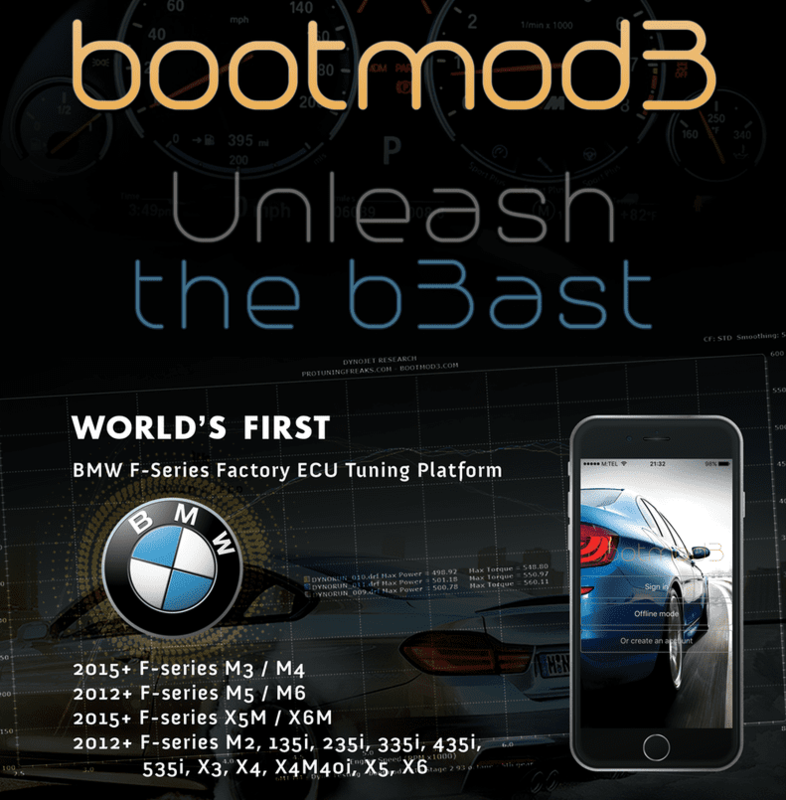 bootmod3 calibrates the factory vehicle modules over the OBD port with tuning on the car in 3 and a half minutes and done in the convenience of your driveway or at our garage. DCT equipped vehicles get the GTS transmission flash included, configurable live dashboard with over 200 datalog channels, peak recall, flashing back to stock and much more!